Agents will almost always charge administration fees to find and set up your tenancy, typically around £500 per house. This is equivalent to £8-10 a month each on top of your rent over the tenancy. As we are your Landlords, Student Houses Cardiff do not charge these fees. And it doesn’t just stop there. If there are any problems, using a letting agent will result in extra administration and paperwork, which will often result in more expenses. Also letting agents often charge an ‘admin fee’ if you renew you tenancy after the first year. Student Houses Cardiff do not charge a renewal fee saving you pounds more over the life of your tenancy. Student Houses Cardiff employ trained current student tenants to conduct our viewings, meaning you get an open, honest, informed view of the properties, and of us as landlords, with no heavy pressure techniques. Usually tenants contact the letting agent or landlord when something needs repairing or if they’re going to be late with their rent. So it’s important the information gets there as quickly as possible. With the letting agent as middle man, it can often take longer for information to reach the right person .There’s also a chance of information getting lost in translation as they relay information between you and the landlord. You almost never know what the landlord said to the agent, so by the time the information gets back to you, you can be stuck between the agent blaming the landlord or vice versa. The nicest student house can be ruined by an agent who doesn’t fix the central heating for weeks. 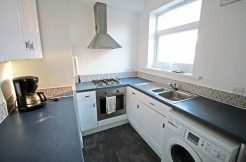 Generally renting direct from the landlord (like Student Houses Cardiff) rather than an agent has the best reputation. It makes sense that a landlord will want to look after their properties more keenly than an agent with over 200 properties on their books. Most 2nd and 3rd years who have experience of renting will be looking to rent direct from a landlord, and will be keen to share their horror stories of constant calls to agents with unresolved maintenance issues. 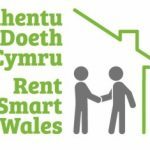 Save the hassle and rent direct with a landlord (like Students Houses Cardiff) and make sure that your landlord is experienced, professional and local.